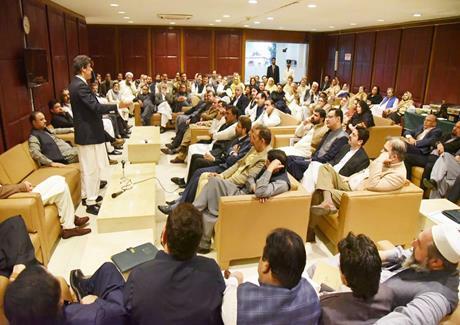 Prime Minister Imran Khan chaired a meeting of parliamentary party of Pakistan Tehreek-e-Insaf at the Parliament House in Islamabad today. The meeting discussed the overall political and economic situation of the country and the matters relating to the proceedings of the parliament. Meanwhile, Member National Assembly Ghaus Bakhsh Mehr called on Prime Minister Imran Khan in Islamabad today and discussed with him matters relating to his constituency.